This is a great location for an overview of the Pound but you need to be lucky, or persistent, to get the right combination of weather and light. A car is the only practical way to access this site. 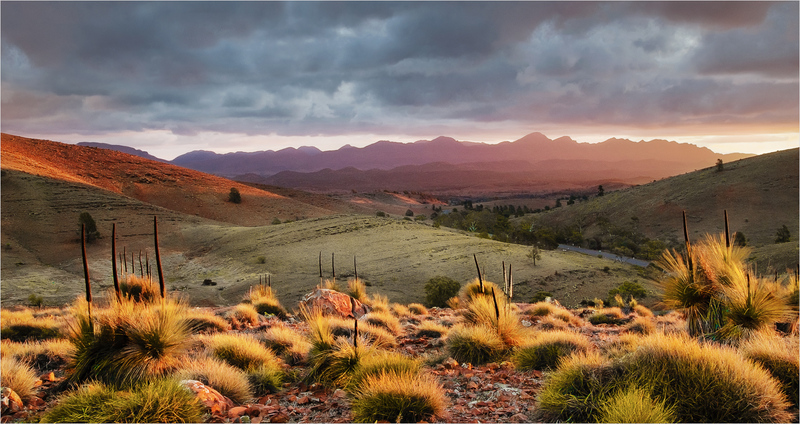 It is a five hour drive from Adelaide so you will need accommodation at the nearby Wilpena Pound Resort or at a camp ground. All roads are bitumen except for the 400 metres of gravel to the actual spot where this was taken.